In Vrindavan during King Kamsa’s rule, the villagers were forced to give everything they produced to Kamsa’s palace in Mathura.The children of Vrindavan were thus deprived of milk products. So child Krishna and his friends started to form human pyramids and broke pots that were hung to ceilings of neighborhood houses, in order to steal curd and butter. As a symbol of Krishna’s childhood naughtiness during Janmastami “Dahi Handi” is celebrated. Here people make human pyramid and break the pot filled with curd tied at convenient height. A participant in this festival is called a “Govinda” or “Govinda Pathak”. 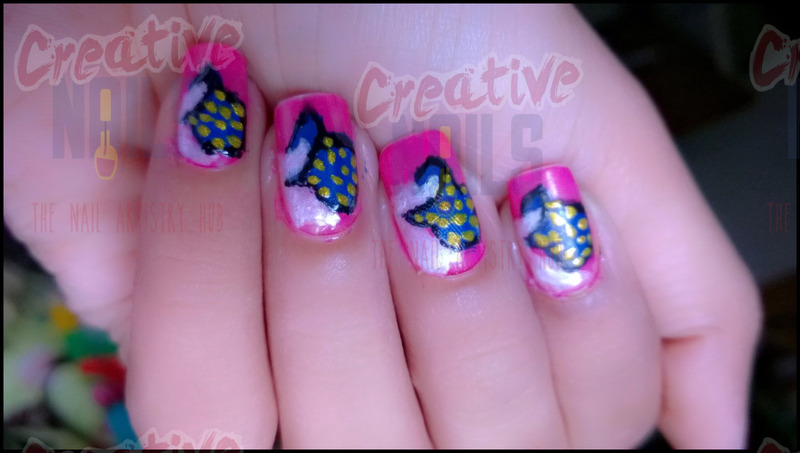 Do share your “Dahi Haandi” experiences with Creative Nails!. ← Shri Krishna Janmastami Nail Design! !